Ramen is an amazing Japanese food, and many many of my guests told me their favorite Japanese food is Ramen! But most of ramen is not vegetarian friendly. And, I have thought and created my version of vegetarian/vegan ramen recipe and it’s been one of the most popular class in my studio! I am so excited to share you my vegetarian ramen recipe. In this class, you will be exposed to many unique flavorful ingredients, not only fresh vegetables, but also using dried veggies and sea vegetables. We will make truly satisfying rich ramen. And of course, super crispy gyoza you never can forget! I am sure you will be making this again and again in your own kitchen! Come join me! 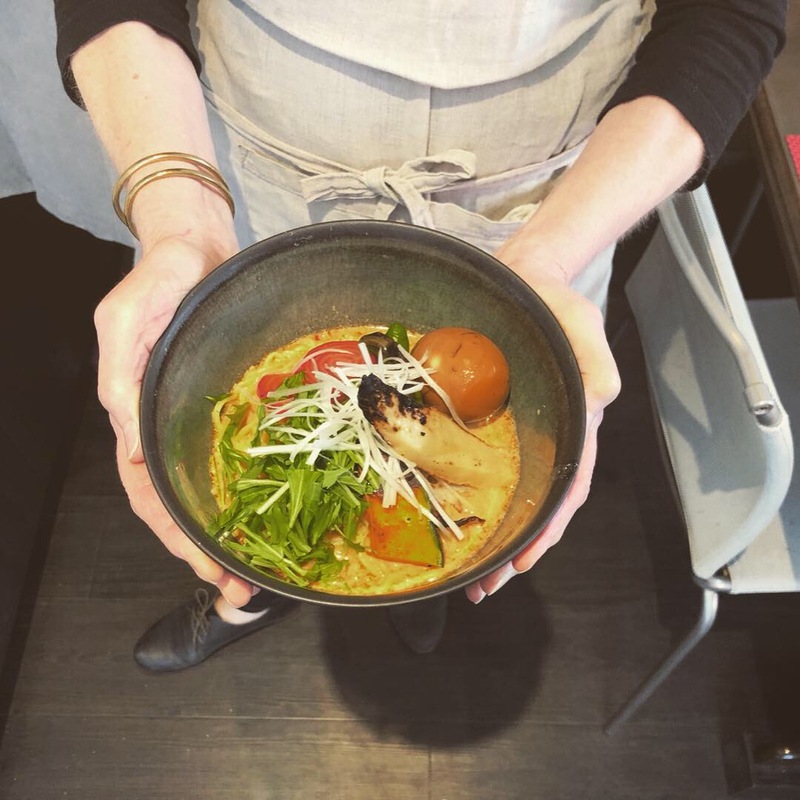 Learn to create a delicious and truly satisfying vegetarian ramen, we make ramen noodles in class! The VEGETARIAN RAMEN & GYOZA ticket is sold out. You can try another ticket or another date.